Samoa Football > News > Senior Women's National Team > Got what it takes to be in our Senior Women’s National Team? Come to our open trials! Please arrive at 11am for registration and team allocations. 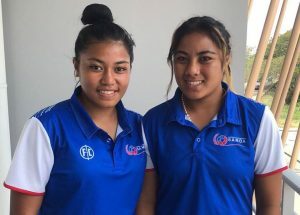 The selection panel consisting of National Team Head Coach Papalii Tala Salamasina, Assistant Coaches Emily Young and Theresa Asiata and the Football Federation Samoa technical team will choose players from these trials to join the National Team training squad. The final team will be selected in December 2014 in preparation for the OFC Olympic Women’s Championship/Pacific Games in Papua New Guinea next year (4-18 July 2015). Trials will also be held in Savaii next Saturday 23rd August, 2014 at 12pm at the Football Federation Samoa grounds in Iva.